You have been to the conference “Arab responses to Fascism and Nazism” at Tel Aviv University End of May. What did you experience? JH: I saw historians of the modern Middle East having great difficulty sustaining a now well established paradigm of explanation in the face of challenges coming mostly from historians of Nazism as well as Israeli historians of the Arab and Islamist politics. As the historian of science Thomas Kuhn’s 1962 argued in 1962 in his classic work The Structure of Scientific Revolutions, scholars cling to established paradigms and are often fiercely resistant to evidence that does not support them. This, he argued, was the case in the history of physics. Today I think it is also the case as advocates of the paradigm whose key words are “third world,” “anti-imperialism,” “Orientalism,” “sub-altern studies” and in the case of the Middle East, “anti-Zionism” tied themselves in knots when faced with clear evidence that some very important Arab, Palestinian and Islamist leaders, such as Haj Amin el-Husseini enthusiastically, willingly and effectively collaborated with the Nazi regime, shared its hatred of the Jews as Jews, and played a major role the cultural fusion of Nazi and Islamist—not Islamic—forms of anti-Semitism. I have presented abundant evidence of that collaboration in my recent book Nazi Propaganda for the Arab World. So too have Klaus Gensicke, Martin Cuppers and Klaus Michael-Mallmann, Matthias Kuentzel, Meir Litvak and Esther Webman, Zvi Elpeleg and others. I even heard one conference participant say that presenting such evidence, even if true, was politically damaging to the Arab and Palestinian cause and thus, presumably, should not be brought forth. Others resorted to the slogans of the existing paradigm but had not effective responses to the growing mass of inconvenient evidence. For me, the recent Tel Aviv conference was one chapter in a larger story that will unfold in the coming years, namely the unraveling of leftist and left-liberal conventional wisdom that is fueling varieties of anti-Zionism in the Middle East, in Europe and in my own country, the United States. A paradigm shift is beginning. JH: Many details of Husseini’s collaboration with the Nazis have been well known for decades. But the third wordlist paradigm served to shift him from the ranks of Nazi collaborators into the pantheon of third world revolutionaries fighting against Western imperialism. Like ex-Nazis in Europe after 1945, Husseini and others worked hard to whitewash their activities during World War II and the Holocaust but they had the benefit not available to Europeans that they could justify their hatred of the Jews with the slogans of anti-colonialism. Some historians of the region appear to find it hard to believe or imagine that anti-Semitism can emerge in the world outside of Europe or that Islamism stands in relationship to Islam as National Socialism did to Christianity. Neither was simply an extension of the previous religious tradition but neither would have emerged without their radicalization and selective reading. The historians still under the spell of Edward Said and third worldism found it hard to imagine that, as Robert Wistrich has recently argued, there has been a shift in the center of gravity of global anti-Semitism from Europe to the Arab world and Iran. Double standards make their appearance. When anti-Semitic statements come from Islamist political figures, like Husseini, the don’t receive the same kind of condemnation that identical statements would receive if voiced by anti-Semites by his former friends and comrades in Nazi Berlin, such as Himmler and officials in Ribbentrops Auswaertiges Amt. What where the conclusions of this conference? JH: The conference participants agreed to disagree. Several of us there made the following points. In recent years a number of historians in Germany, Israel and myself have offered a great deal of new evidence about collaboration between Nazis and some Arabs and Islamists on the other hand. Nobody has ever claimed that all Arabs or all Moslems adored Hitler. But a great many did. As a result of research that has been done by Martin Cuppers, Zvi Elpeleg, Klaus Gensicke, Matthias Kuentzel, Meir Litvak, Klaus-Michael Mallmann, Benny Morris, Ester Webman, Yehoshua Porat, Robert Wistrich and others that I can’t recall at the moment the case of significant Islamist and Arab nationalist collaboration with Nazi Germany is now irrefutable. The evidence is now overwhelming that anti-Semitism drawing on a particular interpretation of the Koran and Hadith contributed to support for Nazism among Arab and Moslem radicals in the thirties and forties well before the foundation of Israel. Indeed, it was the Islamists themselves who refashioned and distorted the traditions of Islam to foster this distinctively modern form of Islamist Jew-hatred. One implication of this recent work is that anti-Semitism expressed by these political figures was a cause of the war of 1948 and of the Arab and Islamist refusal to accepts a compromise, two state solution when it was offered in the late 1930, in the UN partition plan in 1947-48, at Camp David in 2000 and again by Israeli Prime Minister Netanyanu in 2009. But usually it is argued by right that persecution of Jews was in the Moslem world never so bad as in the Christian one. What do you think? JH: I defer to other historians who know more about the place of the Jews in Muslim societies. As Bernard Lewis has argued, as long as Jews accepted their second class dhimmi status they were tolerated in. The existence of Jewish sovereignty in the form of the state of Israel would thus be an intolerable affront to some Muslims who thought the proper position of the Jews was a subordinate one. The key point is one about Islamism, not Islam. Beginning with the foundation of Moslem Brotherhood in 1928 in Egypt by Hassan al Banna, a new political tradition was created called Islamism. Hassan al Banna and Haj Amin el Hussaini created an interpretation of Islam that redefined it as an inherently anti-Semitic religious tradition. They took anti-Jewish stories and quotations from the Koran and Hadith that had been marginal in the past and made them central to their understanding of Islam. Indeed, they argued that hatred of Jews was central in Islam from Mohammed’s time until the 20th century. By the late 1930s officials in the German Foreign Office understood that Nazism could appeal to these people by trying to convince them that they could meet on the common ground of hatred of the Jews and subsequently opposition to British presence in the Middle East. This is why Nazi Germany’s Arabic language short wave radio propaganda cited the Koran and not Mein Kampf. Again, I should emphasize that Nazism was not simply the result of Christianity but it is unthinkable without it. It was a radicalization and a gross distortion of Christianity. Islamism was a radicalization of already existing currents of Islam and in this sense it was a distortion of Islam. Just as historians write about, in Thomas Nipperdey’s phrase, the multiple continuities of German and European history, so it is important to write about multiple continuities in the history of the modern Middle East. One of those continuities that emerged as a modern tradition in the mid-twentieth century was Islamist anti-Semitism. JH: First, as I said above, I think we are at the beginning of a significant challenge to the third wordlist paradigm that has fueled anti-Zionism for decades. Actually I think it is going to begin to unravel in years to come, especially as scholars and intellectuals from North Africa, such as Boualem Sansal, or the Arab Middle East and the Iranian diaspora and opposition, find their voices and express their revulsion with the ideological roots of the Islamist terrorism that has led to the slaughter of so many thousands of Muslims in recent decades. Second, as anyone who has taken the trouble to actually read the Hamas Charta of 1988 or any of Al Qaida’s manifestos or Ahmadinejad’s ranting and raving knows very well, none of what they say is totally novel. All of it draws some of its themes and even slogans from an ideological synthesis, a fusion or, to use fashionable language, a hybridity that took place during the Nazi-Islamist collaboration in war time Berlin, especially between 1941 and 1945. It left important echoes and aftereffects in the Middle East. How was your new book,”Nazi Propaganda for the Arab World” published in November 2009 received? JH: So far, the reviews in the United States, England and Germany have been very good. Reviews in scholarly journals take longer. Translations will be forthcoming in French, Italian and Japanese. I published a collection of documents from the book in the Vierteljahrshefte fuer Zeitgeschichte this past spring. I hope the book will appear in German and Arabic translation. One Cairo newspaper, Al Masry Alyoum, interviewed me about it. Those people who have actually read the book understand that there is no more denying that there was significant collaboration between some Arab leaders and the Nazi regime and that this collaboration was central to Nazi policy and propaganda in the Middle East during World War II. Of course, those who for political and intellectual reasons are invested in the now unraveling third wordlist, anti-Zionist paradigm will claim that the Arab and Islamist response to Nazi propaganda was insignificant. The postwar evidence indicates otherwise. Especially for scholars who read Arabic, Farsi and Hebrew, there is a great deal of important work to be done. I hope my book, and the burst of recent scholarship on these issues, will be helpful in advancing knowledge about these very important matters. I’ve been a historian long enough to know that some advocates of the old paradigm will attack the messenger but that eventually the evidence will overwhelm defenders of the old order. 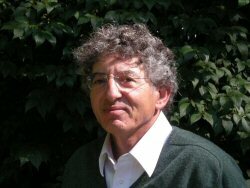 Jeffrey Herf is Professor of Modern and Contemporary European History at the University of Maryland, College Park in the United States. He has published extensively on twentieth century German history, in particular on the Nazi era, the Holocaust and their aftermath. His books include: „Nazi Propaganda for the Arab World“ (Yale University Press, 2009); „The Jewish Enemy: Nazi Propaganda During World War II and the Holocaust“ (Harvard University Press, 2006); „Divided Memory: The Nazi Past in the Two Germanys“ (Harvard University Press, 1997); and „Reactionary Modernism: Technology, Culture and Politics in Weimar and the Third Reich“ (Cambridge University Press, 1984). He is a regular contributor of reviews and essays to „The New Republic“ and to „The New Republic online“. Es ist schon interessant, wie hier jemand versucht, wissenschaftliche Forschung die nicht hineinpaßt in das Prokustesbett der antiimperalistischen-antizionistischen Weltanschauung, zu diskreditieren. Doch Fakt bleibt, lange bevor Israel existierte gab es bereits diesen islamistischen Antisemitismus und auch Jahre bevor Israel im Sechstagekrieg umstrittene Gebiete (die bis dahin von Jordanien und Ägypten okkupiert waren) eroberte, gab es schon massive Holocaustleugnung in arabischen Staaten und Transjordanien/Palästina und natürlich die Behauptung dass doch der Zionismus viel schlimmer sei als der Nazismus und dass doch die Palästinenser die wirklichen Opfer des Holocaust seien. Dagegen kann hier copy gepastet werden aus Le Monde diplomatique (eine extrem antizionistische Zeitschrift) Doch das ändert nicht die Fakten. Die Moslembruderschaft und ihre palästinensische Filiale Hamas sehen keine Möglichkeit mit dem jüdischen Staat zu koexistieren. Da muß man nur ihre Schriften lesen. All das hat nichts mit der aktuellen Politik Israels zu tun. Im übrigen ist die Beschuldigung Israel instrumentalisiere den Holocaust nicht neu, das haben die meisten arabischen Medien bereits während des Eichmann-Prozess verkündet. Einige wiederholten lediglich die antisemitische Propaganda der Sowjetunion. Freilich gibt es Antizionisten – z.B. die Wiener AIK – die Sympathien und Verständins zeigen für einen arabischen Holocaustleugner wie Ibrahim Alloush. Doch die giftige Saat des Islamismus und der ständigen Judenhetze geht in Europa auf. Z.B. in Hannover wo jüdische Tänzer übel antisemitisch beschimpft und mit Steinen beworfen worden sind und die vermutlich linken Organisatoren nicht die Polizei riefen. Das ist die Wirklichkeit und nicht das Traumland vieler Antizionisten, die keine Berührungsängste haben auch mit Rechtsextremisten gemeinsame Sache zu machen. Und davon faseln, dass es doch in Europa gar keinen Antisemitismus gäbe. Denn für sie beginnt dieser wahrscheinlich erst wenn man Juden in die Gaskammer steckt oder tötet. Sie vergessen, dass der Holocaust nicht mit Gaskammern begann, sondern mit einer Hetze gegen Juden. Diese Hetze setzen die Islamisten fort. @Jane@ I am glad, you have nothing to say against my interview. @Charles Weinblatt@ you wander off the subject. Subject matter of Jeffrey Herf ist how some Arab leaders had collaborated with the Nazis and what came out of this fusion based on antisemitism. Do you have an opinion about subject matter? In den vergangenen Jahren haben wir ein spektakuläres Wiederaufflammen des Propagandakriegs zwischen Israel und der palästinensisch-arabischen Seite erlebt. Auch die Anhänger der jeweiligen Lager in Europa und den USA wirken aktiv daran mit. Dieser besondere Aspekt des israelisch-arabischen Konflikts hat für Israel immer eine sehr wichtige Rolle gespielt: Als abgeriegelte Festung innerhalb einer feindlichen Region musste der jüdische Staat vom Tag seiner Gründung an zwangsläufig bei den westlichen Ländern um Unterstützung für seine Sache werben. ﻿﻿Die Zuspitzung der aktuellen Lage lässt das Unverständnis auf beiden Seiten unüberwindlicher denn je erscheinen. Doch wer die offensichtlich elementare Feindschaft zwischen Israelis und Arabern in den ersten Jahrzehnten nach der Staatsgründung bis hinein in die 1970er-Jahre erlebt hat, der weiß, dass heute, trotz allem, wesentlich mehr Araber und Palästinenser ein friedliches Zusammenleben mit den Israelis für möglich halten und dass andererseits sehr viel mehr Israelis die Gängelung der Palästinenser durch ihren Staat als Unrecht empfinden. Zwischen dem Libanonkrieg 1982 und der ersten Intifada ab 1987 traten in Israel die “neuen Historiker” auf den Plan und unterzogen die zentralen Mythen der zionistischen Ideologie einer kritischen Untersuchung, die beachtlich ist.2 Aus der Neubewertung der historischen Ursprünge Israels entstand eine Bewegung, die zwar keine Mehrheit im Staat fand, qualitativ jedoch eine wichtige Rolle spielte: der “Postzionismus”. Das schrittweise Abgleiten der israelischen Gesellschaft ins rechte Lager, vom vorzeitigen Stillstand des Osloer Friedensprozesses bis zur Bekundung eines aggressiven “Neozionismus”, konnte er allerdings nicht verhindern. Die Sabotage der Friedensverhandlungen, der mit Nachdruck vorangetriebene Siedlungsbau in Palästina und die massiven Angriffe auf den Libanon (2006) und den Gazastreifen (2008/09) fügten dem Ansehen Israels in der Welt unweigerlich weiteren Schaden zu. Um den Imageverlust aufzuhalten, beschwören offizielle israelische Stellen und bedingungslose Anhänger im Westen oft die Erinnerung an die Schoah herauf, weil sie sich davon eine Rechtfertigung ihres Vorgehens erhoffen.4 Immer wieder wurde auch versucht, Palästinenser und Araber mit dem Völkermord durch die deutschen Nationalsozialisten in Verbindung zu bringen. Zu diesen Zweck beriefen sich Stimmen aus dem zionistischen Lager schon gegen Ende des Zweiten Weltkriegs auf den “Mufti von Jerusalem”, der es zu trauriger Berühmtheit gebracht hatte. Amin al-Husseini, in den Zwanziger- und Dreißigerjahren die Galionsfigur des palästinensischen Nationalismus, war 1937 von der britischen Mandatsmacht abgesetzt und aus Palästina ausgewiesen worden, hatte danach eine Weile im Irak gelebt und ließ sich 1941 in Deutschland nieder. Von Berlin und Rom aus beteiligte er sich aktiv an der Propaganda der faschistischen Regime sowie am Aufbau bosnisch-islamischer SS-Einheiten. Nichtsdestoweniger bezeichnete die zionistische Bewegung den Mufti 1945 als nominellen Vertreter der Palästinenser und Araber und forderte – erfolglos – seine Überstellung an den internationalen Militärgerichtshof in Nürnberg, als sei er ein maßgebliches Rad in der Völkermordmaschinerie der Nationalsozialisten gewesen. Al-Husseini wurde in einer solchen Vielzahl von Artikeln, Broschüren und Büchern öffentlich angeklagt, dass man tatsächlich annehmen könnte, der Mufti habe zu den Hauptkriegsverbrechern des Naziregimes gehört. Jedenfalls eignete sich seine Person sehr gut, um den Palästinensern eine Mitschuld am NS-Völkermord zuzuschieben und die Umwandlung ihrer Heimat in einen “jüdischen Staat” zu rechtfertigen. Mit dem Aufkommen des antiarabischen Rassismus und der neuen Islamfeindlichkeit seit den Anschlägen vom 11. September 2001 wuchs auch die Zahl der Publikationen, die nachzuweisen versuchen, dass die Juden 1948 in Palästina vor der neuerlichen Gefahr eines Genozids standen: Waren die Araber nicht, dem Beispiel ihres Muftis folgend, vom selben Judenhass beseelt wie die Nazis – und sind sie es nicht noch heute? Und können unter diesen Umständen die Vertreibung der Palästinenser bei der Gründung Israels und die Repressionen, unter denen sie seither leben, nicht als reine Notwehr angesehen werden? Als Reaktion auf die von Tel Aviv betriebene Instrumentalisierung des Holocaust sowie zur Legitimation der palästinensischen Bestrebungen sind auf arabischer Seite zwei einander widersprechende Strömungen entstanden: einerseits der Vergleich zwischen der Politik Israels und dem Nationalsozialismus – das arabische Gegenstück zur israelischen Praktik, Palästinenser und Araber mit den Nazis zu vergleichen -, und andererseits die Leugnung des Holocaust. Die eine Position hält den Nationalsozialismus für den Inbegriff des Bösen, die andere unterstellt, er sei weniger kriminell gewesen, als allgemein behauptet wird. Dass es viele Menschen in der arabischen Welt durchaus fertigbringen, diese widersprüchlichen Aussagen miteinander in Einklang zu bringen, macht eines deutlich: Es handelt sich dabei um den Versuch, das Unvermögen, auf reale Gewalt wirkungsvoll zu reagieren, mit symbolischer Gewalt zu kompensieren. Von dieser emotionalen, reaktiven Holocaustleugnung, die derzeit Konjunktur hat, versucht der iranische Präsident Ahmadinedschad zu profitieren, wenn er in Konkurrenz mit Saudi-Arabien um Sympathien des sunnitisch-arabischen Islams buhlt. aha – they never left, but were a small minority below Muslims. How could they only survive, if Muslims would be anti-semites as the article is claiming. It is obviousl, that they could live in Palestine below a big majority of Muslims for more than 1500 years. In addition to this, the natives of Palestine were the Palestinians, and they were Muslims with the start of Islam. They propably didn’t invade, but simply converted with the rise of Islam and it isn’t even sure, if not a good part of them might have been jews before. May I ask you Charles Weinblatt, which is your nationality? I assume it is American. So what the hell are you doing in the US since it is very obvious, that you aren’t a native American, just as all the other black and white people over there? I do not deny Israels right to exist at all (and not the US as well), but it is certainly totally bald-faced to ignore the claims of the Palestinians in such an adaucilous way. Beside of that Mekka has only been mentioned twice in the Koran, and that doesn’t mean it is not of any meaning to the Muslim world. The Muslims don’t have to proove, that Jerusalem means a lot to them as well. It is very obvious. You only have to look at the beautiful As-Apsa Mosque, which is one of the most beautiful emblems of Jerusalem, just like the old muslim quaters. Ascertaining contemporary validity for ownership of a land should not be derived from any piece of parchment or mention of „God providing it.“ Rather, it is possible to empirically determine who has a more valid claim – Jews or Palestinians. We must turn to history and professional historians for the answer. To be sure, there have been literally thousands of thesis and dissertation papers on this topic. It was been very well researched and then vetted by generations of historians. Rather than looking for a rabbi or Imam, we require PhD’s who are highly respected and have vetted comprehensive research. Jews lived in Israel more than 3,000 years ago. They never left. That predates Islam by at least 1,500 years and Palestinians by about 2,000 years. Only Canaanites lived there when Jews arrived from slavery in Egypt. Canaanites have no surviving descendents. Thus, Jews have far more of a valid claim to the Holy Land. There are many hundreds of references in the Talmud about Jerusalem. After all, Israel was the ancestral homeland of the Jewish people and Jerusalem was (is) its capital. On the other hand, unlike Mecca, there are but a handful of references to Jerusalem in Islamic documents. It is hardly mentioned. Jews settled Israel more than 3,000 years ago. They never left. By historical perspective, Palestinians only just arrived and they claimed Jewish land that had been conquered already by Romans, whose empire disintegrated. Clearly, Jews have a much more solid legal claim over their ancestral homeland than any other group of people.